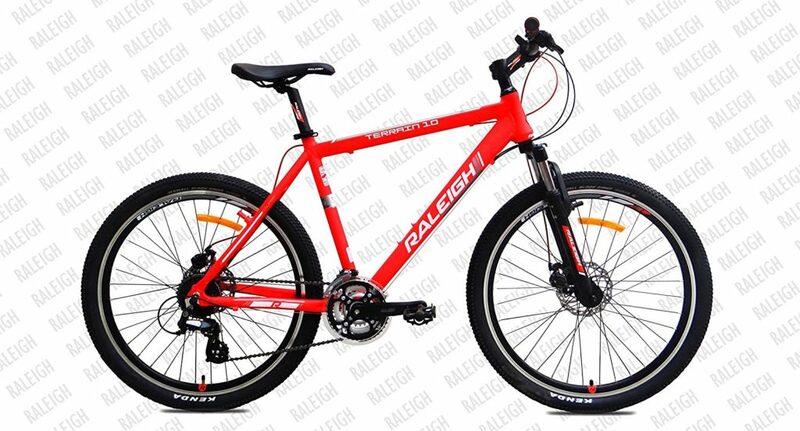 Raleigh Bicycle Company is one of the oldest cycle manufacturing company in the world. It is a UK based company. The brand was established by Woodhead and Angois in the year 1885. The company, currently, is owned by Accell group from the Netherlands. Accell group also owns other well-known bicycle brands like Lapierre, Diamondback, Haibike, Sparta & Ghost. 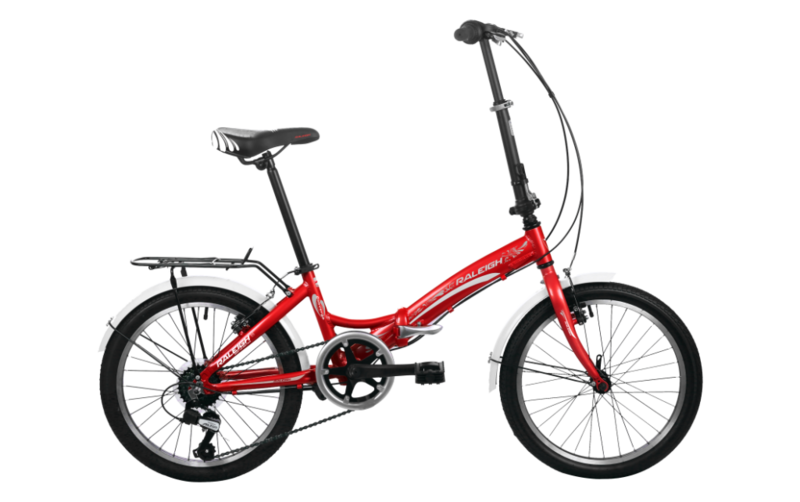 The company also manufactures kids bicycles. One of their model “Raleigh Chopper” is an iconic brand in its own. It was launched in the year 1970 and quickly sold over 1.5 million pieces. The model was later relaunched multiple times with better designs and components. 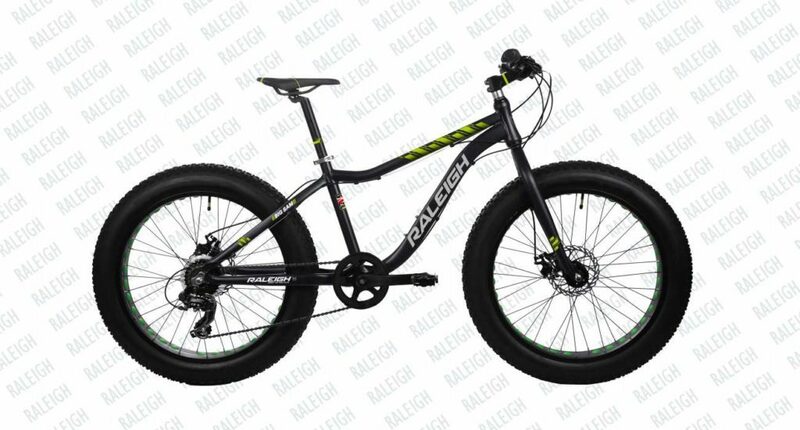 Raleigh Cycles has an agreement with Suncross bicycles (Naren International – Based out of Ludhiana) for manufacture and sale of Raleigh bicycle models in India. They also sell other cycle brands by Accell like Lapierre & Ghost Bicycle. Unfortunately, Suncross is focusing on building offline dealer network and does not have a very strong online presence. However, You can still buy some models online. I have listed down the top models in the list below. I feel this is an absolute steal for the price at which it is currently retailing on Amazon. The bicycle looks and feels really robust. The ride quality of the bicycle is also good. The cycle sports a Shimano Altus derailleurs at the rear. At the time of writing this review, the model available was 18.5 Inches in frame size. It had 26 Inch standard tyre size. The bicycle is made using a 6061 Aluminium alloy frame. Aluminium alloy frames are lighter compared to most steel frames and are resistant to rust. The bicycle has 24 gears and uses Shimano tourney FD-TX50 as the front derailleur. While the rear wheel uses a much better Shimano Altus rd-m310. The shifter used are EZ fire plus shift/brake lever set st-ef51-a. The rims are made using double walled alloy for greater strength. The tyres used are 26×2 Inches. One of the top selling models from Raleigh. I really liked the look of the bicycle. The frame has a nice aggressive posture. 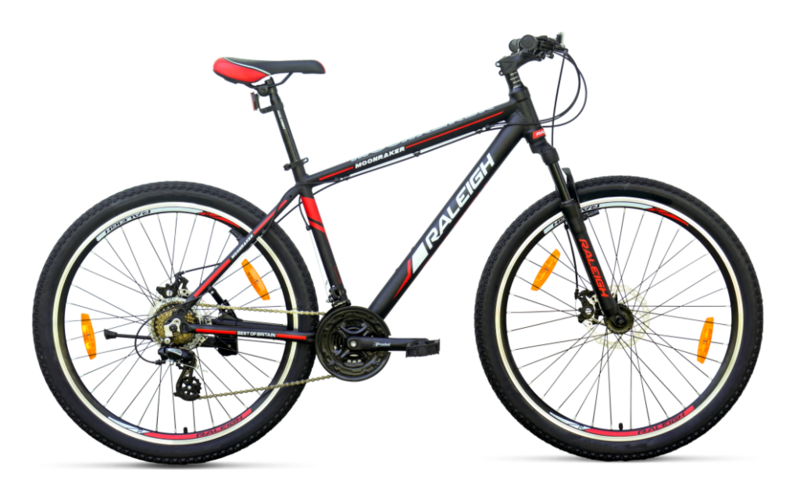 The bicycle has big 27.5 Inch tyres to give you extra speed and riding comfort. This is a hardtail bicycle and uses a Suntour XCT HLO suspension fork on the front. The frame is made using 6061 Aluminium alloy. Very similar to Terrain, However, there is a visual difference in the design of the frame. The bicycle uses disc brakes on both, rear as well as front tyres. Frame size-18.5 inch – Ideal size for an average Indian. Crankset used on the bicycle is Shimano FC-TY301. This is a Fat Tyre Bicycle from the Raleigh. The frame has a similar design to that of Conan. The black finish and the decals on the bicycle give it really fantastic look. Fat bikes are ideal if you like having off-road fun on dirt tracks or like to ride your bicycle on the beach. If you are looking to buy a fat bike don’t forget to check my list of best fat bikes in India. This is a seven gear MTB (Fat Bike) made using Aluminium alloy frame. Both the front and the back wheel use a disc brake to give you good braking performance on trails. The Big Sam is equipped with Shimano Altus RD-M310 rear derailleur. The shifter used on the bike is Shimano RS35. This is a rigid fork bicycle. The bike does not have either the front or the back suspensions. The bike uses Alloy 36H Rims which are fitted with 26×4 Inch fat tyres. MoonRaker model was launched by Raleigh towards the end of last year. This hybrid bicycle has a nice sporty look and is available in Black, Yellow & Orange. The decals on the bicycle also look really nice and the colour combination flows really well throughout the bicycle. The company has down everything to keep its weight down. This helps to give a combination of speed as well comfort. I could not find this Bicycle on sale online. You will have to find a dealer near you if you wish to buy this model. Available in 25 Inch, 27.5 Inch and 29 Inch tyre variations. 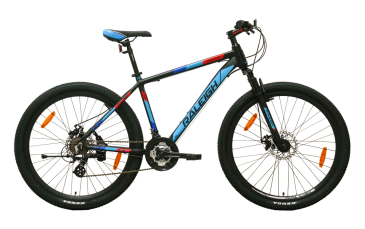 The bicycle is available as a single speed (Gearless) as well as multispeed models. Proceed is another sport looking variant from the Raleigh stable. The main difference between Proceed and MoonRaker is that this particular model has more of a standard looking bicycle frame. At the time of writing this review, this bicycle was available in Blue and yellow colours. You also get an option to buy either the gearless version or with a 21-speed option. This product was also not available for sale online. You will have to find a nearby dealer to buy this cycle. Most of the features of this bicycle are same as the MoonRaker above. Amongst bicycles, other good products include the Raleigh MyRide – You can read a comparison of this bicycle with MachCity iBike and Btwin MyBike. Two more bicycles worth mentioning are the Raleigh Roxio & Raleigh Misceo. But there are some other interesting products which you should look at. 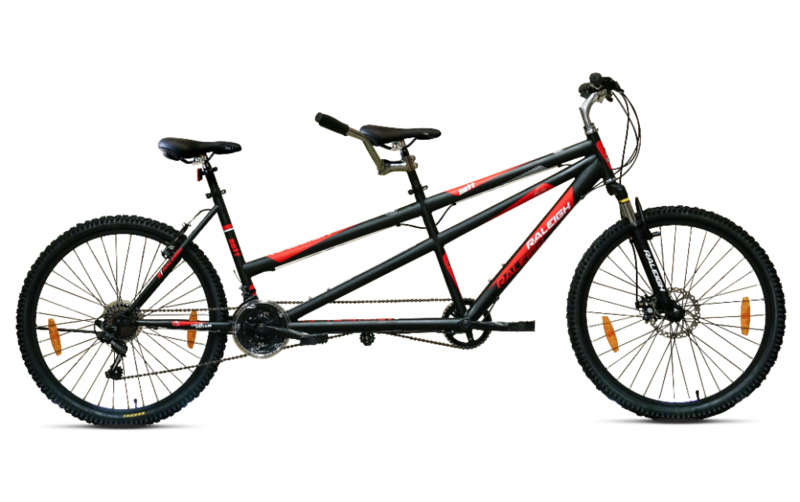 They offer tandem bicycle in the Indian market too. Tandem bicycle can be ridden by two cyclists at a time. They offer both Multi and Single-speed varients in this model. According to reports, this bicycle is priced around Rs. 20000 in India. However, you will have to find a dealer who stocks this particular product if you interested in buying the same. The last product that I would like to touch upon in their folding bicycle. The bicycle is named as Raleigh Converge. The bicycle frame is made using 6061 Aluminium alloy and has 7 gears to work with. The brakes used on the same are V-Brakes. It uses 20×1.95 Inch Kenda tyres. 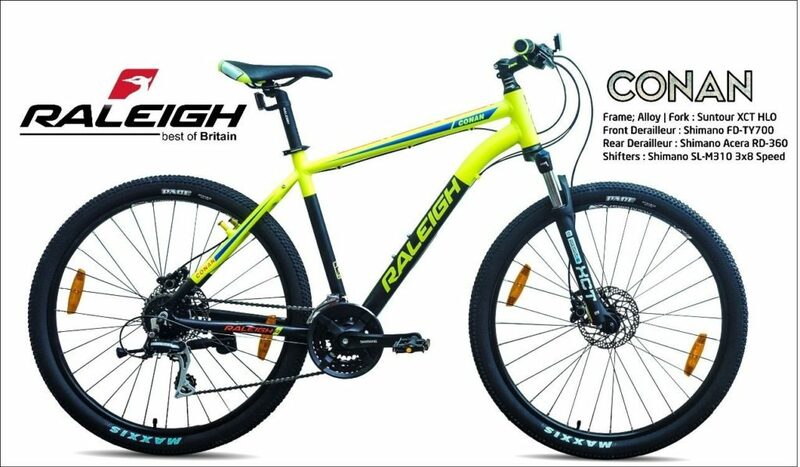 This concludes the review onthe best Raleigh cycles in India. Do let me know your thoughts below. Have you tried any of these bicycles? How was your experience?